I'm new to this board and have done the main trail in the distant past. Planning on heading up the last weekend of April and looking for updates on conditions after this past storm. Any new updates on trail conditions/temps? I will be going up the week/weekend before you, and provided I make it to a computer quickly after my return, I will try to post about conditions and a picture or two if I can figure it out how! I am going up the wed of the last week of April and my buddies the same time as you.. we are going up the Mountaineers route, there is a chance we may have to come down the Main Trail and can give you probably the best condition report your gonna find.. its a great your doing it again after so many years! In late April I am driving out from Colorado to climb Mt. Whitney. I'll be in the area for up to a week, so I'm also hoping to climb Mt. Russell and Muir. I'm looking for trail conditions and route suggestions. Your help will be greatly appreciated. 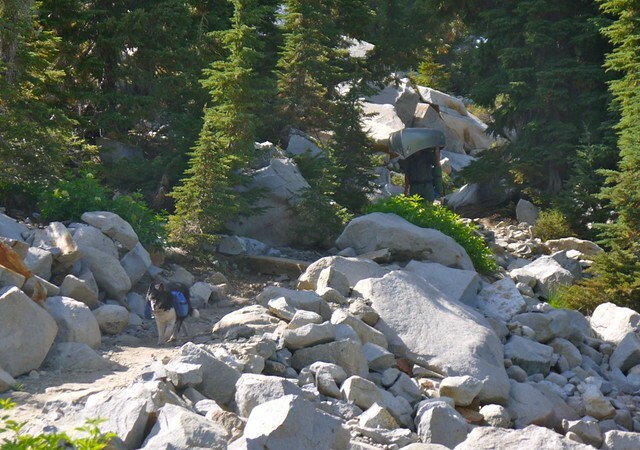 BobPickering and Richard P. are hiking the Mountaineers Route as I write this. I am hoping there will be a trip report and possibly pictures of the area when they return. To view the SPOT track, you'll need to zoom in carefully, dragging the map to center the Mt Whitney area, since his track currently shows also where he was last hiking up near Tahoe. Then click the Terrain button, and you get a pretty good view. Another newbie here (new to this board and to Mt. Whitney), no luck in the lottery so also thinking about going up the last weekend of April. Did Langley, Williamson & Conness last summer. Wondering if crampons + ice axe will be sufficient for the main trail? I guess hard ice on the switchbacks could be a pain, will watch this board for updates. I'm a pretty fast hiker but expect to spend a night on the trail because dealing with crampons slows me down, might be too much for a day hike? Not really sure. Thanks to all you hikers posting trip reports and pix. Dave W: I like that picture. Nice to know that we will have some company on the hill the last weekend. Been hiking between 20-25 miles/week since the beginning of March so feel like I'm in pretty good shape. We are bringing crampons, ice axe, snowshoes and trekking poles along and plan on determining what to hike with based on current conditions when we get there. I keep checking the weather at Barcroft and snow depth at Cottonwood daily, but Cottonwood seems to be about a week behind (low battery?). SoCal, be sure to check the links on the Mt Whitney Weather page (link under the webcam images above). There are several good ones in there. > but Cottonwood seems to be about a week behind (low battery?). Not sure what you are seeing. Maybe try your browser's refresh button. 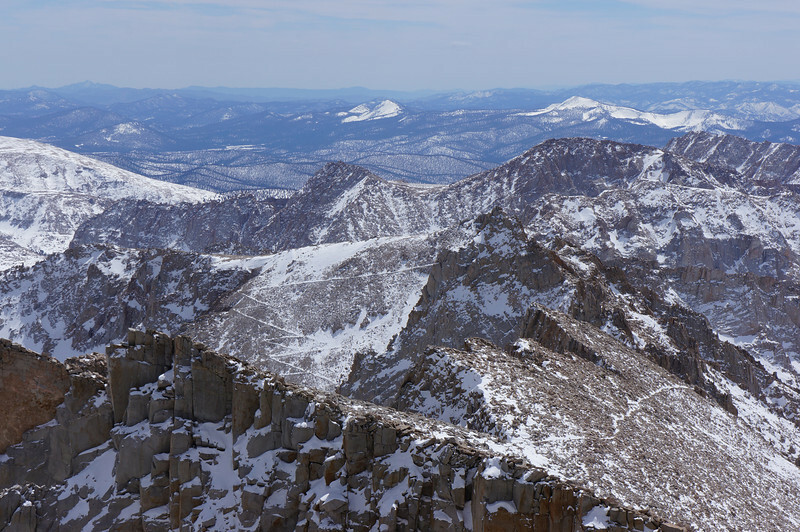 We have a link on the Mt Whitney Weather page to it, and checking it there, it appears to be up-to-date. Must not have cleared my cache. Getting current data now. Still looks like White Mountain Summit is down though. I also have the Whitney weather page bookmarked now. Wow, did you pack an inflatable kayak up to 1,000 Island Lake? That shows true love for watercraft. > Wow, did you pack an inflatable kayak up to 1,000 Island Lake? 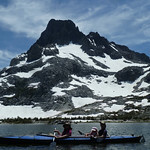 Here's the link: Kayaks on Thousand Island Lake Three mules carried three kayaks plus all the gear for seven campers. NICE!! Maybe I could get one of those and make back packing luxurious enough for my wife to come to the wilderness with me someday. Can u rent Mules? When you rent a mule, you hire the packer and his horse, too. So it adds up. We split the cost between everyone, though, so a group hiring a mule to pack the backpacking gear isn't so bad. I'll be back to packing my own this summer, though. He wrote that it looks like people are already trying the switchbacks. The trail is dry to Lone Pine Lake. Thanks for all your information Steve, from the portal rd to renting mules, your contributions really are appreciated. I should try the MR next weekend (04/22) and I'm still wondering if I take my skis or if I rent snowshoes. My question is : at which elevation can we start using skis? Sylvain77: Bob Pickering and Richard P climbed the Mountaineers Route on March 30. The recent storms dropped a little more snow, but not that much, so conditions will be similar. There just isn't enough snow to warrant snow shoes. Crampons and ice axe are necessary tools. Skis are probably of marginal value. Generated in 0.591 seconds in which 0.580 seconds were spent on a total of 15 queries. Zlib compression disabled.